As we mentioned in the section on Arabic’s influence, above, the expansion of Islam entailed integrating Arabic into local cultural milieus. Arabic soon became a way to gain influence in government, society and economics. This is a linguistic phenomenon which takes place gradually over time, and is based, in part, on the prestige of a language. Arabic gained this status in many countries due to the power of the Islamic Empire, which spanned from Spain in the West to Afghanistan and Central Asia in the East. Its impact on culture and language has been profound. Additionally, because of Islam, Arabic remains a dominant language in these countries today, regardless of what language is spoken at home. Because of its importance in education, administration and commerce, it gained prestige in societies and gradually took hold in people’s homes as their mother tongue. Because of its importance in education, administration and commerce, a language may gain more prestige in a society. Gradually this may take hold in people’s homes as they increasingly adopt it as their mother tongue. This happened in many of the countries which became Muslim (but not all). This is a concept from the field of socio-linguistics. For example, in Egypt, Arabic, Arab cultural practices and Islam, were not forced on Egyptians by the original Arab settlers and rulers. Egyptians, however, gradually became Arabic-speaking. Advantages could be gained from speaking Arabic and participating in Arab culture; jobs in government became possible, more favorable laws, and generally access to better opportunities came with both speaking Arabic and/or converting to Islam. 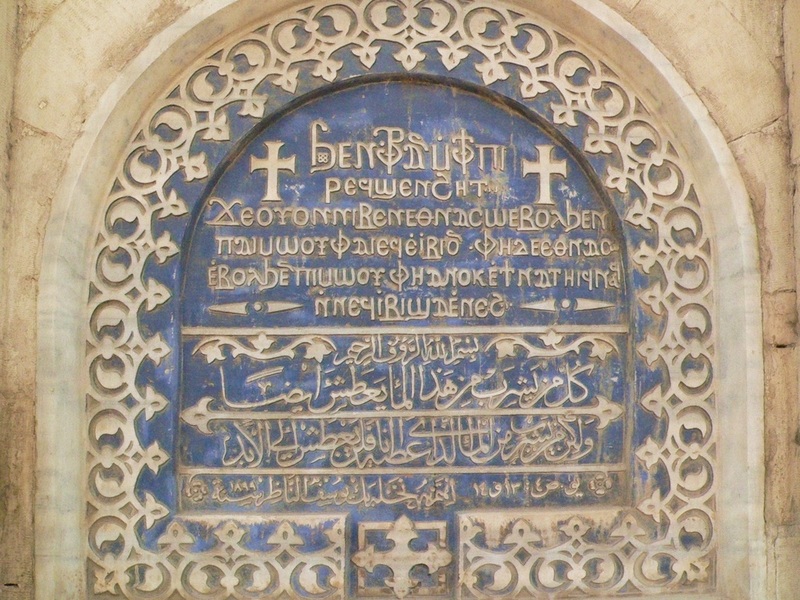 The Coptic Christians, however, remain a large community in Egypt (at least 10% of the population), and have preserved the language of Coptic, “an offshoot of Old Egyptian” (Versteegh,2001,p.15). The language is written in a form of Ancient Greek. Thus, they have preserved pre-Islamic cultural practices (Greek and Ancient Egyptian) through their liturgy and other traditions, although they speak Arabic as their mother tongue. Greek was the language of prestige during the Ptolemaic and Roman eras, which lasted for over a thousand years prior to Islamic rule. Old Egyptian, Greek, Arab, Turkish, and Persian (Persian empires also ruled briefly, and were hugely influential in the region as a whole) cultural influences are evident in Egyptian colloquial Arabic. 622-632 – Islamic Empire under Mohammad. The early state began in Medina and gradually gained Mecca, Hunayn, Tabouk, and a large majority of the populated regions of the Arabian Peninsula. Abu Bakr, who ruled from 632 to 634, secured the entirety of the Peninsula and extended into present-day southern Iraq, Kuwait, Syria, Jordan, and Palestine. 634-644 – Islamic Empire under ‘Umar. The state then expanded dramatically under the leadership of ‘Umar. Lands claimed under his rule include the entirety of the Levant, most of modern Iran, slight expansion into present-day Turkmenistan, and entry into the northern coast of Africa in present-day Egypt and Libya. 644-656 – Islamic Empire under Uthman. The state extends slightly past the extent of ‘Umar’s rule. Modern-day south East Tunisia, most of Egypt, half of Afghanistan, and south West Pakistan were all brought under the Islamic rule. There was also increased incursion into south East Turkey and the Caucuses. 656-661 – Islamic Empire under Ali. The state experienced a decline due to the growing prominence of other emerging Islamic states, particularly the ‘Umayyad, and various factors of internal strife. The light sections of the map on Egypt and the Levant indicate the de facto leadership of Amr ibn al-As and Mu’awiya in each area. The dark green indicates the pre-existing eastern regions conquered under ‘Umar and ‘Uthman, with slight eastern expansion in modern-day Afghanistan and Pakistan, that Ali firmly controlled.